I felt like it’s been AGES since my last tie dye, so I went to my local thrift shop and started my hunt for the perfect shirts! It was one of “THOSE” trips, and I was lucky enough to find not one, but THREE shirts that were tie dye friendly. So here is the first one! It was a pretty vibrant red shirt to begin with, so I knew I wanted to add a little darkness and dimension. And with it being so close to Valentine’s Day, I couldn’t resist this easy refashion. 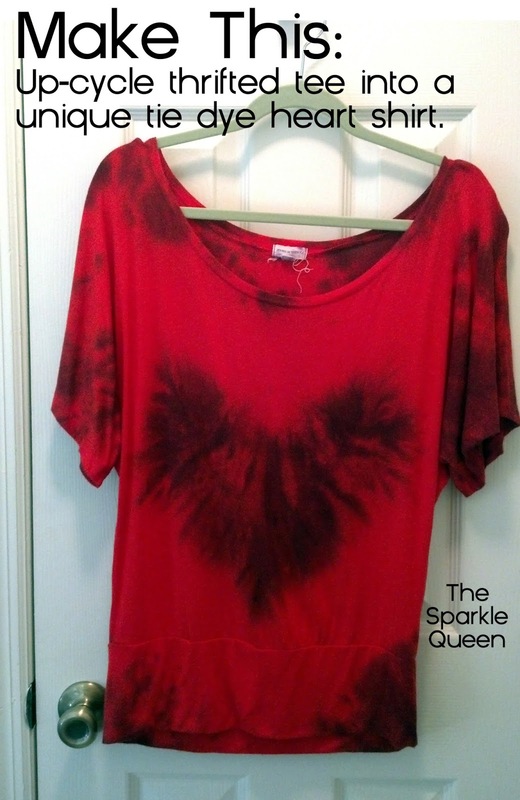 I’m not using anything special, just a thrifted shirt and basic black dye from the craft store. What do you think? Would you rock a funky tie dye like this? Great tutorial! I've never dyed a shirt before so this was neat to watch. Thank you Lisa! You'll have to let me know what you think after watching. Think you would be up for making one someday? The shirt design is awesome. Also the primary color (red) is my favorite, so how could you go wrong.